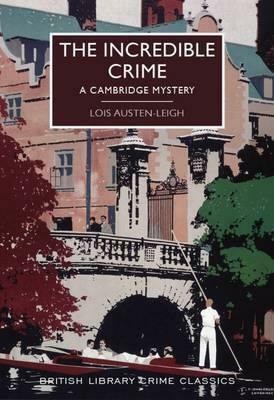 Prince's College, Cambridge, is a peaceful and scholarly community, enlivened by Prudence Pinsent, the Master's daughter. Spirited, beautiful, and thoroughly unconventional, Prudence is a remarkable young woman. One fine morning she sets out for Suffolk to join her cousin Lord Wellende for a few days' hunting. On the way Prudence encounters Captain Studde of the coastguard - who is pursuing a quarry of his own. Studde is on the trail of a drug smuggling ring that connects Wellende Hall with the cloistered world of Cambridge. It falls to Prudence to unravel the identity of the smugglers - who may be forced to kill, to protect their secret.